- How do postings from MM flow into FI? - How do we find out what occurs behind-the-scenes? - How do we identify which movement types are pointing to a specific GL Account? - Is there a way by which we can change the posting to a different General Ledger (GL) Account? - How does one create a new movement type and assign it to a specific GL Account? Many SAP practitioners – IT and business alike – are in similar situation and do not know where to start on MM-FI data flow and reconciliation. This blog is an attempt to clarify the fundamentals of MM-FI account determination. Transaction keys (1) are used to determine general ledger accounts used by the system. Account modifier is used to differentiate account determinations, depending on the procedure. [Transaction and account modifiers can be seen as a logical grouping similar types of transactions]. The transaction-account modifier, along with the valuation class, drives the accounting entries. Transaction keys are predefined in the SAP system and cannot be changed. Many of you may have seen an accounting entry at the time of the purchase of raw material as a debit to inventory and credit GR/IR. The configuration setup of transaction BSX (inventory posting) is responsible for the inventory posting (see Figure 1), and WRX (GR/IR clearing account) is responsible for GR/IR posting. When movement type 101 is used to record the goods receipt of raw material (valuation class 3000) for a purchase order, the system looks up the GL Account for transaction BSX and WRX for valuation class 3000 and records it in the accounting document. Figure 3 provides a summary of few important movement types and accounting entries. Business process is listed in the column furthest to the left, with movement type in the next column, and the debit and credit posting in the subsequent columns. There is a column for transaction and account modifiers; as we noted earlier, these are SAP’s terms for logically grouping similar types of transactions. The transaction account modifier, along with the valuation class, drives the accounting entries. The OBYC MM-FI account determination configuration is set up at the time of original implementation, and once set up, these accounts are derived behind the scenes. You’ll want to test the setup before going live to ensure that the correct accounts are being hit for the respective transactions. You can change this configuration after go-live, but the revised setup needs to be thoroughly tested. Otherwise, we may run the risk of impacting regular operations. I hope this write-up was useful and explained the fundamentals to the readers. (1) - The transaction key in MM-FI account determination is not the same as transaction code. A transaction code is an alphanumeric code that represents a particular task in SAP. It allows users to access tasks directly without having to use menu paths. 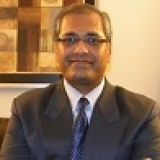 Ashish Sampat is an SAP FI/CO Consultant who has provided solutions in SAP Controlling including product costing, material ledger, and cost center accounting to global clients in consumer packed goods, life sciences, and industrial sectors. Ashish is based in Chicago region, where he works as an independent SAP FI/CO consultant. Ashish is the author of First Steps in SAP Controlling (CO) and Expert tips to Unleash the Full Potential of SAP Controlling. Ashish Sampat is a qualified finance and costing professional with nearly two decades of industry experience in the SAP Finance and Controlling space. Ashish has been an SAP consultant for most of his career with various consulting organizations and now works as an independent SAP FI/CO consultant. He has provided solutions in several areas of SAP Controlling including product costing, material ledger, and cost center accounting to global clients in consumer packed goods, life sciences, and industrial sectors. Born and educated in India, Ashish now lives in suburban Chicago with his wife and two kids. Ashish is the author of First Steps in SAP Controlling (CO) and Expert Tips to Unleash the Full Potential of SAP Controlling. Iam very thankful to you, every time you post all informative post thanks for the great share keep posting. Its noting new people require innovative, Most of the Certified people know how MM and FI work , but still appreciate your hard work.